A stadium groundbreaking took place in Amarillo, Texas, in early February. The ballpark will house a Double-A Texas League club. The path to bring Minor League Baseball to Amarillo, Texas, has hit another milestone. 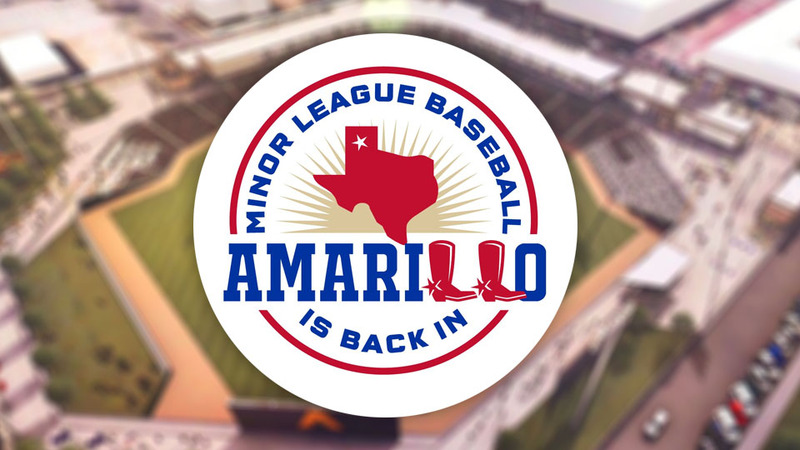 This past June, it was announced that, as part of an interconnected series of relocations, Amarillo would field a Double-A Texas League team beginning in 2019. A groundbreaking ceremony for this team's ballpark took place Feb. 1; per Amarillo.com, this ceremony was attended by city officials, team owners David and D.G. Elmore and community organization representatives. Amarillo city manager Jared Miller, speaking to Amarillo.com, said the target completion date for the ballpark is Feb. 1, 2019. It is being built at an estimated cost of $45.5 million, funded by a hotel occupancy tax. Amarillo's stadium will serve as the home of the Texas League franchise that is currently operating as the San Antonio Missions. In a corresponding move, the Triple-A Colorado Springs Sky Sox will relocate to San Antonio. Both the Missions and the Sky Sox are owned by the Elmore Sports Group. One of the next milestones in the evolution of Amarillo's Texas League entity will be a "Name the Team" contest. In the meantime, the fledgling franchise has established a Twitter account under the name of "Amarillo Professional Baseball." Amarillo is one of two cities slated to open a Minor League stadium in 2019; the other is in Fayetteville, North Carolina. There may be two new ballparks in 2020 as well. On Jan. 29, the Madison (Alabama) City Council voted unanimously to spend $46 million for a Minor League ballpark. The ballpark would likely house the Mobile BayBears, whose current home of Hank Aaron Stadium is the oldest in the Southern League. Earlier this offseason, the BayBears were purchased by a new ownership group, BallCorps LLC. Madison mayor Paul Finley told AL.com that the ballpark would be utilized year-round, have an estimated capacity of 7,000 and open in 2020. Madison is located in the greater Huntsville area; the Huntsville Stars relocated to Biloxi, Mississippi, following the 2014 season after years of declining attendance at Joe Davis Stadium. 2020's other proposed new Minor League ballpark is in Kannapolis, North Carolina, home of the South Atlantic League Intimidators (Class A affiliate of the Chicago White Sox). The team's current home of Intimidators Stadium opened in 1995. The city of Kannapolis is in the midst of a multistage downtown revitalization plan. A ballpark -- referred to by the city as "Sports and Entertainment Venue" -- is a key piece of the plan. Construction is slated to begin this summer. The previous edition of this column covered the murky future of the Batavia Muckdogs, who are no longer operated by the Rochester Red Wings. The struggling New York-Penn League franchise is now owned by the league, which is looking for a buyer. That buyer, almost certainly, will want to relocate the team to a more populated market. The Muckdogs have finished last in the league in attendance in each of the past three seasons. Nonetheless, the Muckdogs will remain in Batavia for the 2018 season and possibly longer. On Jan. 27, The Batavian reported that "Batavia City Council unanimously passed a resolution authorizing the assignment of the Dwyer Stadium lease to the New York-Penn League and its wholly owned subsidiary, Batavia Muckdogs, Inc." Thus, the team will still have a place to play. The lease extension was soon followed by the news that the New York-Penn League had hired veteran executive Dave Chase to run the franchise. Chase, who has worked in baseball for the past four decades, told the local dailynewsonline.com that his job in Batavia will be to "virtually start a baseball operation from scratch." "In recent seasons, I've specialized in teams that have had difficult pasts and need experienced help to get them back on track," said Chase. Rickwood Field was the home of the Birmingham Barons from 1910 through 1986. Beginning in 1996, the Southern League team played one game each season at their old home. This was the "Rickwood Classic," a nostalgia-drenched afternoon in a true throwback environment. There was no Rickwood Classic in 2017, however, as city engineers determined that structural repairs were needed in order to make the facility safe for public events. Those repairs have begun, and a May 30th date has been announced for the event's 2018 iteration. As has been the case for years, the Potomac Nationals are working to obtain funding for a new ballpark. But for now, the Carolina League franchise still calls G. Richard Pfitzner Stadium home. Last month, the P-Nats announced that they have extended their lease at "The Pfitz" through 2020. Speaking at the P-Nats Hot Stove Dinner, team owner Art Silber said that "the franchise continues to pursue multiple options in multiple localities with an aim at the 2020 season, ideally within a 30-minute drive from our current facility."